A note on the re-published version. 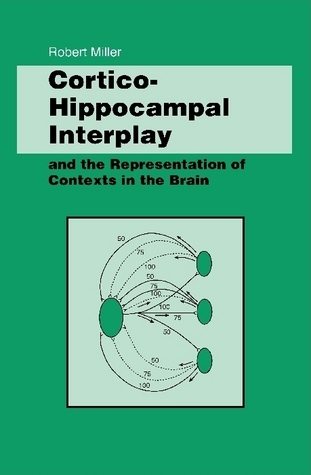 In 1991 a monograph was published in the Springer series â€œStudies in brain Functionâ€ entitled â€œCortico-hippocampal interplay and the representation of contexts in the brainâ€ with Robert Miller as author. This work – a forward-looking monograph on brain theory and brain dynamics – developed the idea that, in the course of learning about new environments, â€œphase-locked loopsâ€ are formed between hippocampus and neocortex, entrained to the hippocampal theta rhythm (a regular oscillation found in the Electroencephalogram [EEG]). These configurations allow particular regimes of connectivity in the neocortex to be emphasized, each corresponding to a different environment. 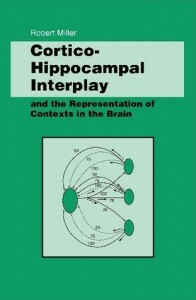 As a result, â€œpsychological contextsâ€ for each environment are formed, and the connectional ambiguity of the whole cortical network is resolved, allowing the cortex to function in a manner which is specific, economical, and does not require an unrealistic number of connections for each neurone. The resulting scheme is one where a set of phase-locked loops permits efficient retrieval of memories acquired within a particular context. This monograph has been sold out many years ago, but the theory presented in this book is still relevant. Robert Miller has acquired the copyright for this work. It is now republished in its entirety, essentially as published in 1991. This work (text, all figures, subject index etc) is now available on this website, at a cost of US$35.00 + postage. Since 1991 some important new evidence relevant to the theory has appeared. It is intended soon to add to the manuscript available at this website a short essay, summarising these developments, and responding to a critique of the original work by one or more of the researchers whose experiments were critical in shaping the theory as it appeared in 1991.